By now you’ve probably noticed the photos I share have two distinct attributes. First, none of them are watermarked with a name, company or otherwise. Second, the photos come with titles and (relatively) long captions. Furthermore, I work to give you access to the highest possible resolution of each photograph. Why? I’ll fill you in on my process, and offer some tips about what you should do both of these very contentious ideas in photography. The beautiful Bear Lake in Colorado. The Rocky Mountain National Park area, with it’s litany of mountainous views, is full of opportunities to soak up rich scenery. Given that this location sits at an elevation of 9,450 feet, you have to do everything slower. It was a cold day in this shot too, but also clear enough for shooting this scene at the tip of a nature path that stretched around the entire lake. While climbing Skogafoss on the southern coast of Iceland trying to beat the quickly arriving sunset, I turned away from the glorious waterfall to this see this view of the sun breaking out of the clouds. On a day where rain was nearly relentless, seeing the sun shining on this land was incredible. WordPress. Incredibly customizable, but often incredibly frustrating. One such specific case is where themes can feature posts in a widget, but don’t always offer a way to set each post to do so. In my current theme’s case, it’s based on Orca and the theme has a “Featured Posts” widget, but there doesn’t appear to be an easy way to set a post as featured. I’ll show you how to modify a publicly available plugin to make this possible in WordPress’ admin interface. Apple’s AirPods have been noted for being original (in a field of products that sees only incremental changes), and uncharacteristically troubled. The product was announced in September for a pre-Christmas release, but delayed past Christmas for reasons untold. Just about anyone who sees these headphones will say “How much?”, and scowl at your response. Well, I finally have a pair and will put them to the test in today’s review of the AirPods. The striking beauty of the sea smashing into these coastal lava rocks was hypnotic. In many ways Iceland can seem like another planet, cold and captivating. This morning after the sun had risen, I stopped at a wonderful costal area near Londrangar to capture this long exposure of water and rock meeting. This time of year (November) in Colorado is close to mating season, so these elk are out grazing in all sorts of urban places. I found a large group on a golf course interrupting the players on this uncharacteristically mild afternoon. And, the peace between human and animal is striking and strong in this city. Sunset in Havana, and indeed most caribbean countries, is a very special time. It’s when the sun’s intense heat lets up. And, with this cooling effect, people start to flood the streets, clubs, parks and other outside areas to socialize. I wanted to capture one of Havana’s iconic locations literally and figuratively in a different light. This 2016 Macbook Pro refresh has been a long time coming. Since May of 2015, in fact. 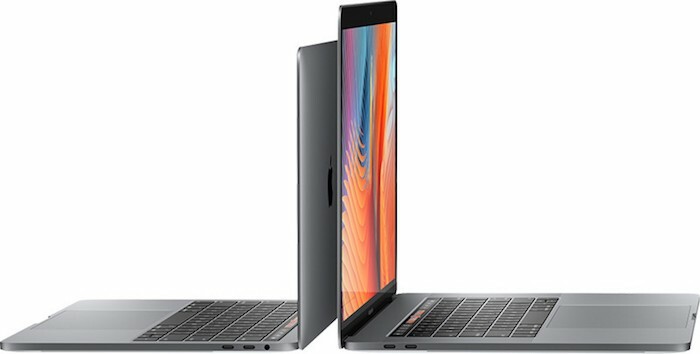 My last computer was a Retina Macbook Pro (2015) with reasonably similar specifications, which stood as the previous model, but due to this massive re-design, a far different computer. Over Christmas 2016, I took the plunge and decided to go with this high quality (but recently beleaguered) line of laptop in my on way (as an I.T. Professional).